Click on the "Donate" button to pay by credit card! Sign Up for Our 2019 Superhero 5K & Fun Run! Meals on Wheels of Erath County is excited to announce the 2nd Annual Superhero 5K & Fun Run benefiting MOWEC! Race day is Saturday, May 11, 2019 at the Stephenville City Park. Both races start at 8:30 am. 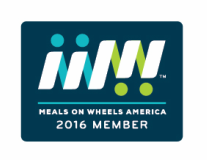 Registered runners can pick up packets at the Meals on Wheels office on May 10. Sponsorships are available - including an option for the very popular Meal Sponsor of the Day! A timed 5K for the big folks and a Superhero Training Fun Run make this an event for the whole family. Bring your kids to run a training course developed and run by Camp Gladiator Pride and watch them earn their Superhero Cape and Mask! The goal of our event is to raise funds to support our mission and ensuring that every senior in Erath County who needs a meal - gets one. All proceeds from our race will directly benefit Meals on Wheels of Erath County and the seniors they serve every day! Race t-shirts guaranteed to racers registered by May 1, 2018. Bring the whole family! Superheros with all abilities are welcome! RACE CONTACT INFO: If you have any questions about this race, please call 254/965-3510.